It’s All Happening – Facing It. 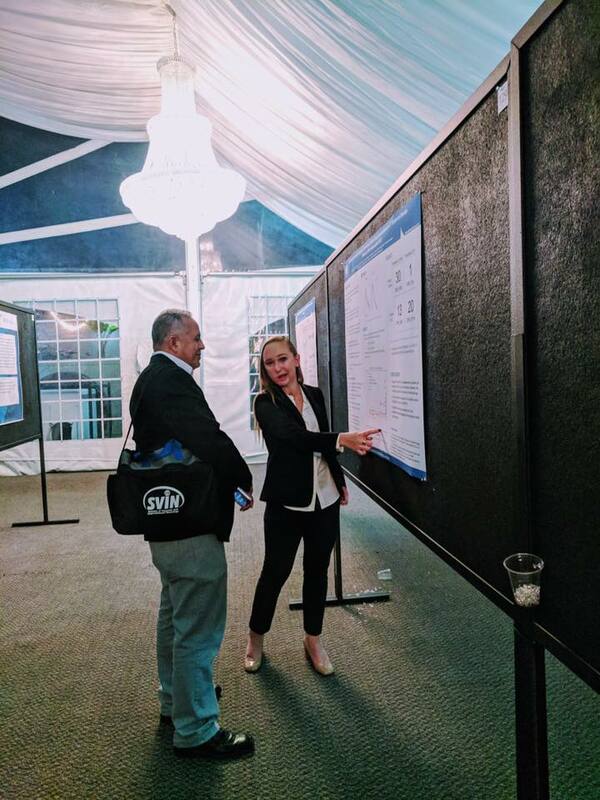 This past weekend, I had the opportunity to present my research on stroke assessment at the meeting of the Society of Vascular and Interventional Neurology. I was the one presenting MY findings, I wasn’t an anomalous case study being presented TO these physicians. I’m not quite their peer- yet, but I was able to explain my research to them on my own two feet, eye-to-eye, as a fellow scientist rather than a vulnerable patient. I was able to share knowledge with the very same group of people that helped me cheat death just a few years earlier. I went from relying on them to keep me alive, to working towards empowering them to better the care of their patients. Maybe they took it easy on grilling me because I looked more like a 14-year-old wearing a pantsuit than a seasoned researcher, but I made myself proud that night. I stumbled more than I would have liked to, but I answered questions and politely debated the pros and cons of my analyses with people who are far, far more trained than I. The overall theme of these last couple of posts has been ‘full circle’, and I wish I had more diverse things to write about, but I have never been happier to be writing these things. As an update, the corneal neurotization (eye nerve surgery) went as well as my surgeons could have hoped for; they said it was the best it’s ever went. Granted, that’s a pretty low bar as the third-ever case at UCLA, but I will take it. I have been feeling this positive momentum for a long time, but my right eye is now halfway open- people can look me in my two eyes. It’s showing on the outside, finally. My biggest struggle has been that I feel like my outside doesn’t match who I am internally, and they are finally starting to align. I am happy, I am happy, and I am getting smarter and stronger every day. Nothing is out of reach. IT’S HAPPENING, PEOPLE.